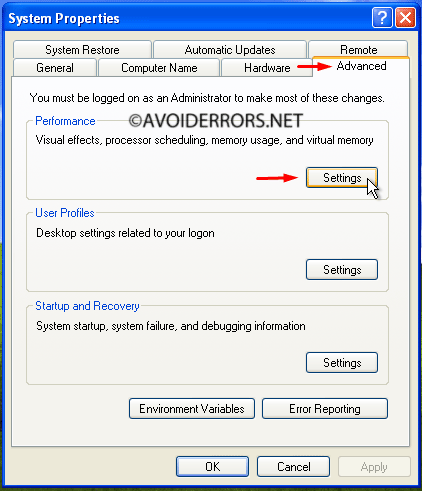 This article is for those who have had virtual memory errors? 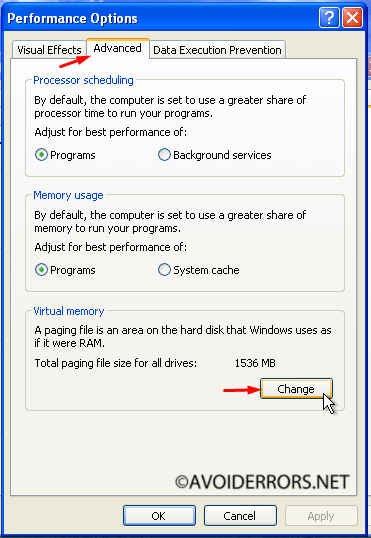 Increasing virtual memory might help improve windows performance. On your desktop, Right click My Computer and go to Properties, select the Advanced tab, and under the Performance click on Settings. on the performance options window click on the Advanced tab again and on the Virtual Memory click “Change” button. 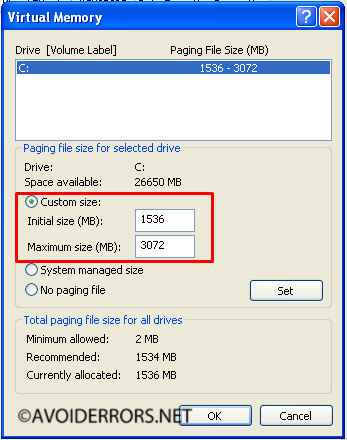 Increase double the size you currently have on the Initial Size option, and set the Maximum Size to double of what you just put on the initial size and click Set button and exit.